In order to complement & expand the services our team can provide we have also developed a broader ecosystem of loosely-coupled specialist partners. Our approach is simple: we only put forward partners if we can vouch for the quality of their work. Managing complexity and change, flexibility and agility, faster time-to-market, improving competitive standing… BiZZdesign makes strategy work! BiZZdesign offers complete and integrated enterprise architecture and business process modelling solutions to design and improve organizations: effective, proven and focused on results. With their innovative solutions BiZZdesign provides true business agility for organizations worldwide. Hydra offers an integrated solution that combines unique cloud software + advanced services to improve business results by leveraging your organisations know-how. Hydra’s technology optimises resource utilisation and drives project management standardisation, to reduce delivery cycle times and increase your margins. 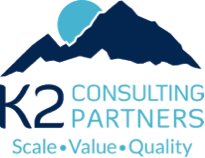 K2 Consulting Partners is a unique, full service, Business and IT consulting company that is changing the way consulting projects are staffed and delivered to clients in the UK. K2 is a true consulting company; we just have a different employment model for our consultants. We deploy a network based approach to providing over 2,500 Associates to our clients, by bringing together the power and capability of several independent consulting firms, all together under one entity. This allows us to offer great value to our clients, whether they are an SI, a consulting firm, or an end client. Our rates are very competitive as we have so few overheads; we make no mark up on the rates our network partners would typically charge in the market; and we do this across all major sectors, including having security cleared Associates. Quality is built into our model and is paramount in how we bring on board partners into K2, and the way our Associates interact with our clients – scale, value, quality.